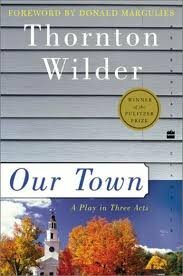 Our Town was first produced and published in 1938 to wide acclaim. This Pulitzer Prizewinning drama of life in the town of Grover 's Corners, an allegorical representation of all life, has become a classic. It is Thornton Wilder's most renowned and most frequently performed play.